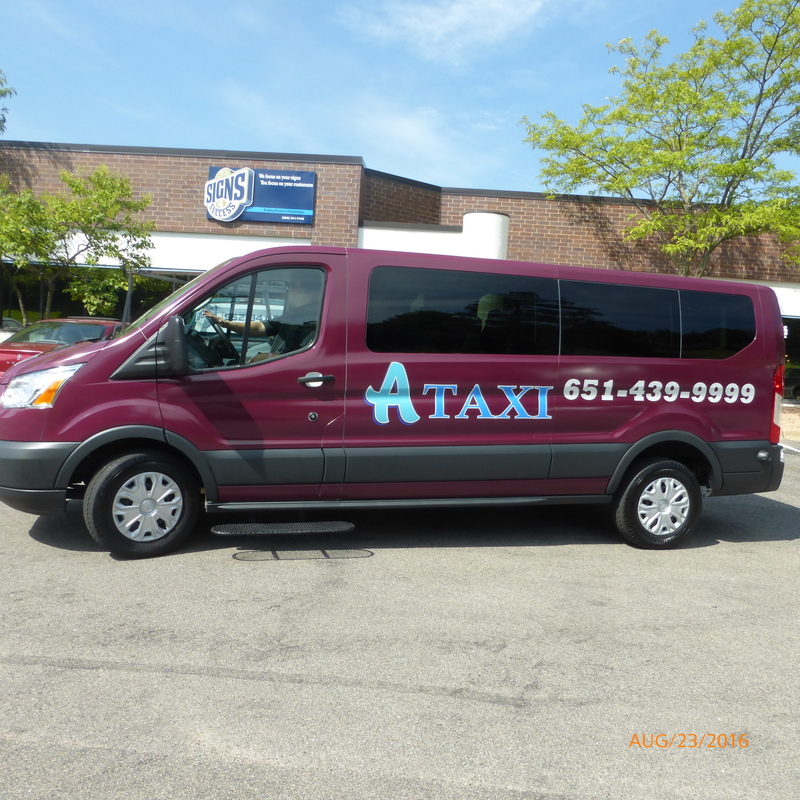 We did a color-change wrap for this van and branded it for A Taxi. Van was originally white. We made this historic-looking sign with a lightweight and durable PVC substrate, rather than wood. 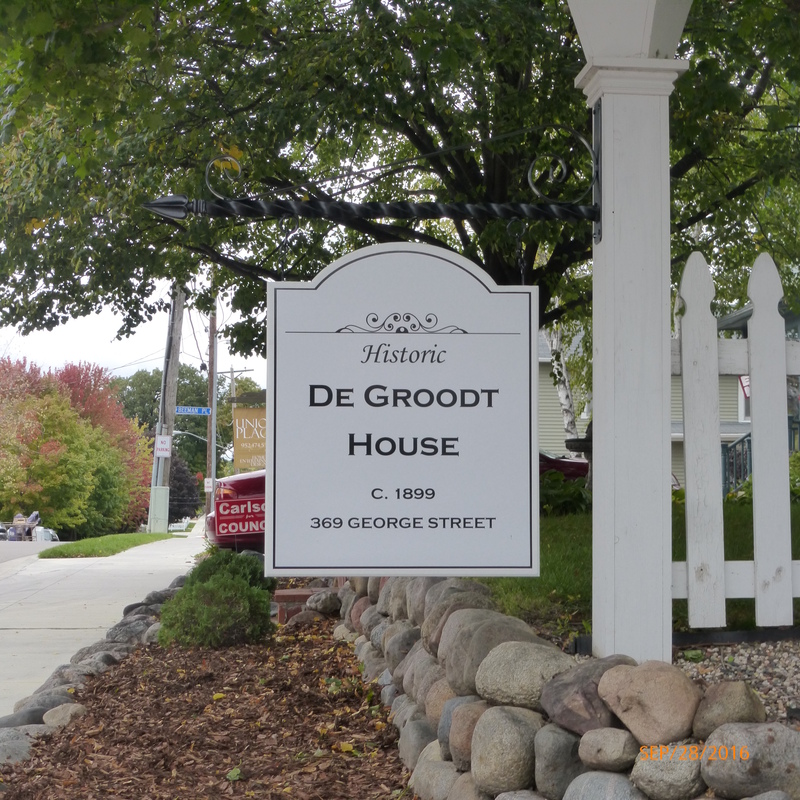 This material will last for decades, and the sign design was made to order for a historic, classic, beautiful look to match the house itself. 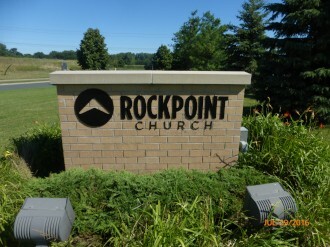 Rockpoint Church in Lake Elmo, MN, needed signage for their church. This is the monument sign we provided for them. 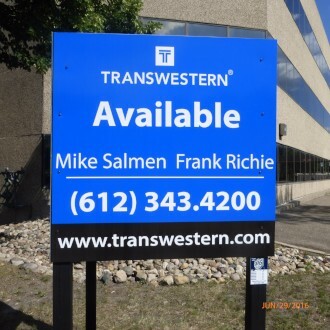 We printed and installed this 4' x 4' realty sign for Transwestern. We use superior post-burying techniques and warrant any sign we create and install for one full year.